Ember Hadley has spent every sheltered and boring minute of her 17 years in Optima, one of the independent sovereigns formed after the inevitable collapse of the U.S. federal government. Optima fiercely safeguards the health and safety of its citizens to the point where driving is illegal, handshakes are frowned upon, and every bite of food is closely tracked and monitored. To the point where restless Ember often engages in “listed” activities just to prove that she does, indeed, still have a pulse. When Ember discovers that her mother is not dead, as she has always been told, and that she has a twin brother she doesn't remember, she sets out on a journey to find them. She hires Finn, a travel guide of sorts with his own desperate motives, to help her navigate across the very fractured former United States. After a rocky start of broken trust, they travel together through regions of stubborn extremism including the anarchist West, the consumerist Midwest, the religious South, and the socialist East. Each sovereign has become an unfortunate stereotype, but a stereotype of its own careful design. Through her search for her lost family, her introduction to unfamiliar cultures, and her emerging relationship with Finn, Ember learns a whole lot about herself, and a little something about love. 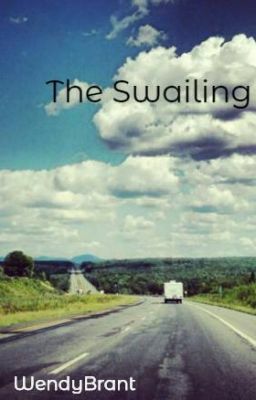 Read THE SWAILING for FREE on Wattpad!